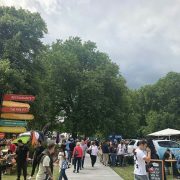 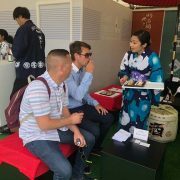 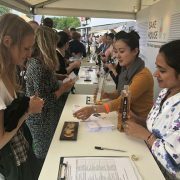 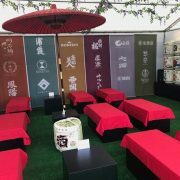 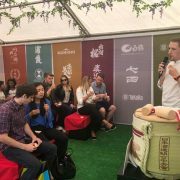 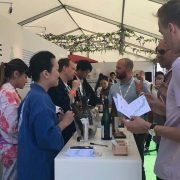 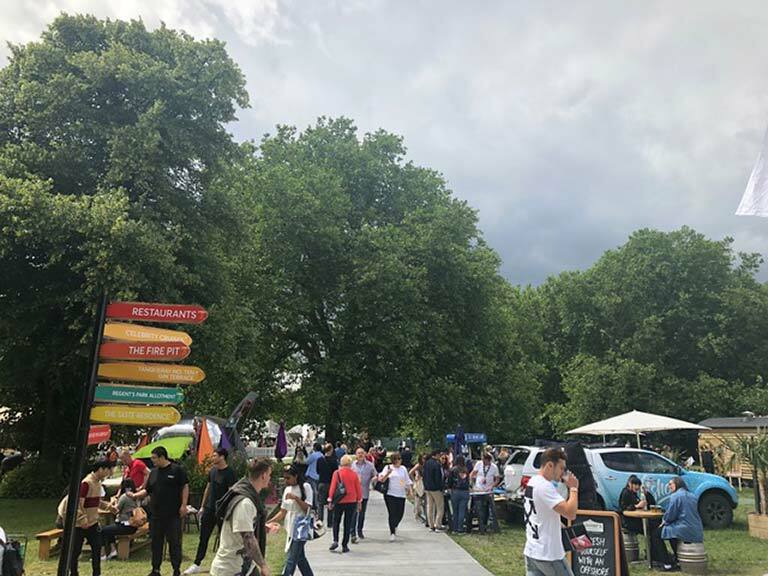 JFOODO (Japan Food Product Overseas Promotion Centre) https://www.jetro.go.jp/en/jfoodo/ entered the Taste of London, one of the world’s biggest restaurant and drink festivals, located in London’s stunning Regent’s Park in the middle of summer with 50,000 food-loving visitors in attendance. 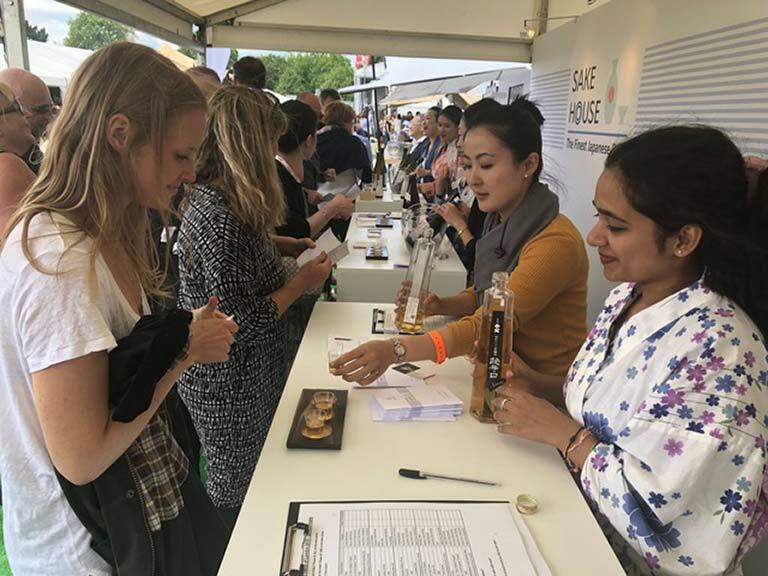 It was an epoch-making appearance for sake to reach such a vast number of affluent consumers amongst the city’s world-class restaurants and drink purveyors. 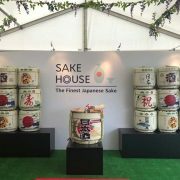 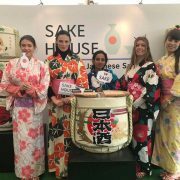 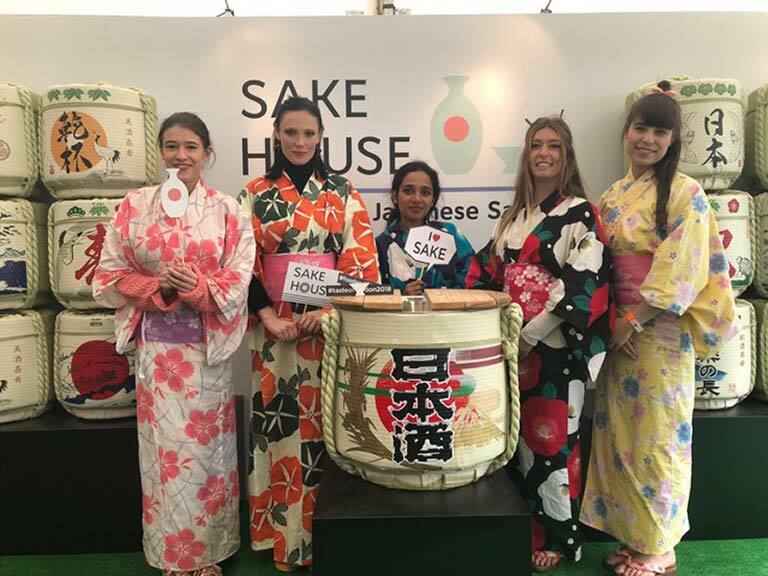 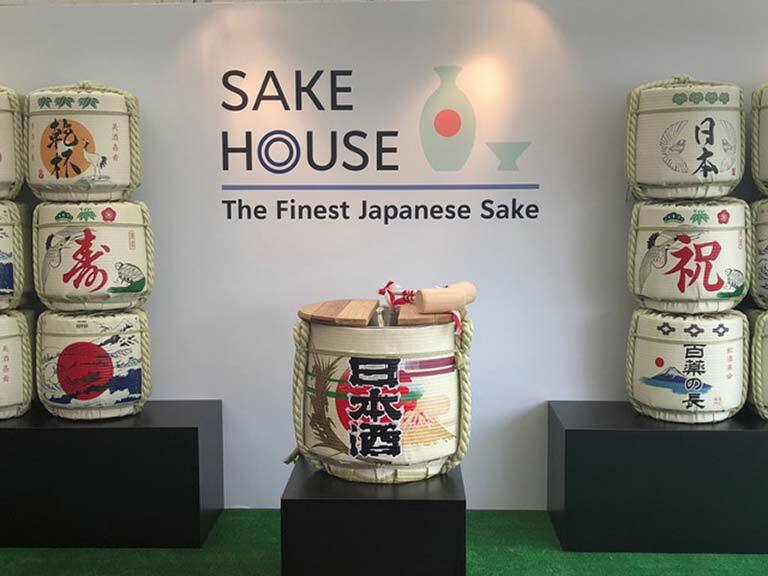 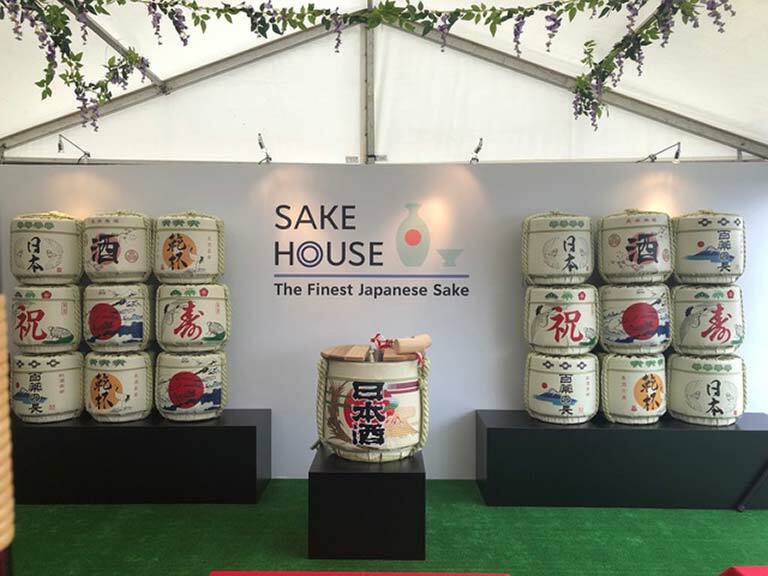 The Sake House was built in a prime site in the Taste of London to offer a free sake tasting to visitors. 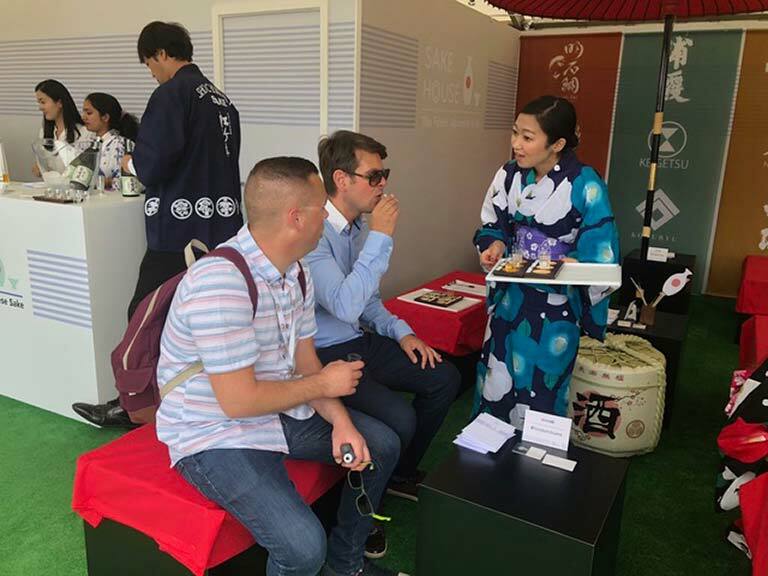 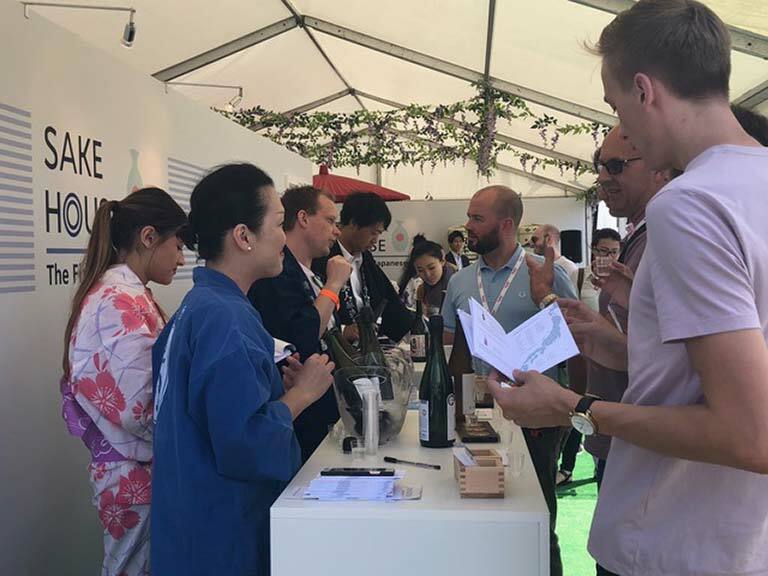 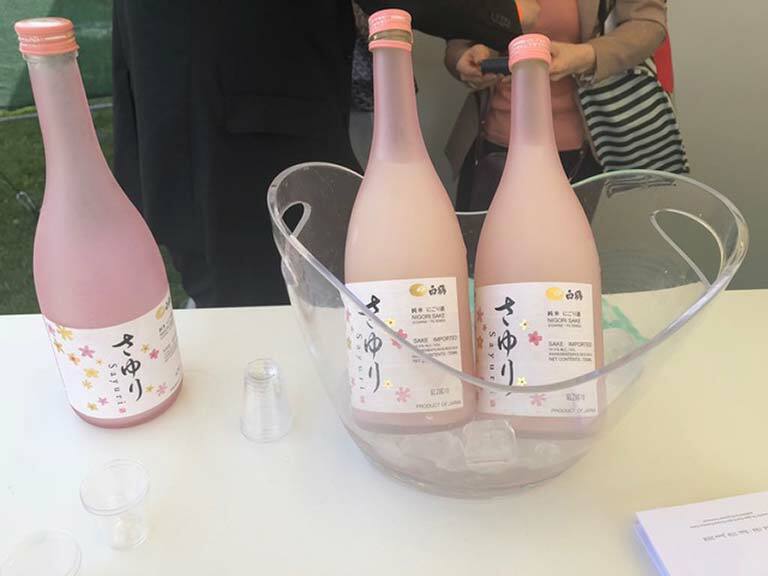 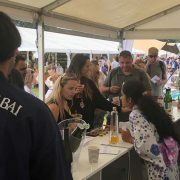 It was the first time for the fair to include Japan’s hospitality stand, and the idea of promotion of Japan and its sake was hugely welcomed by both visitors and organisers. 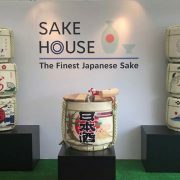 The show lasted for five days from Wednesday to Sunday, and the Sake House was visited by thousands of sake lovers and novices every day. 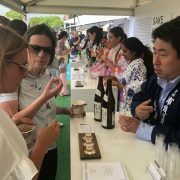 All sakes served for the tasting were selected from the popular brands being sold in the UK and their importers were busy promoting them behind the counter. 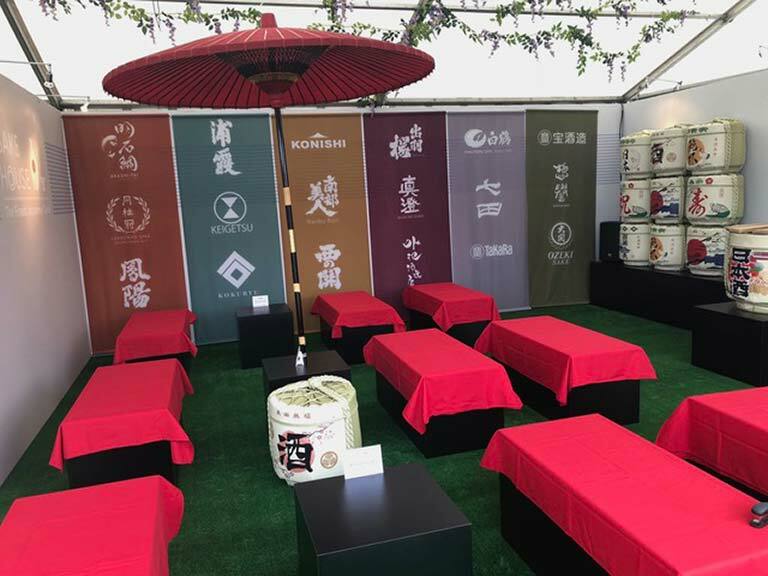 Next to the sake stands, attractive Japanese tea house-like benches were provided for the guests to rest and sip a variety of sake to compare. 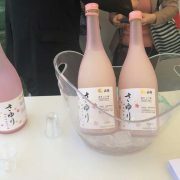 Several sake and food matching seminars were given by an award-winning Japanese chef. 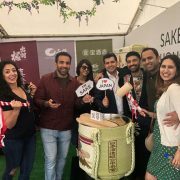 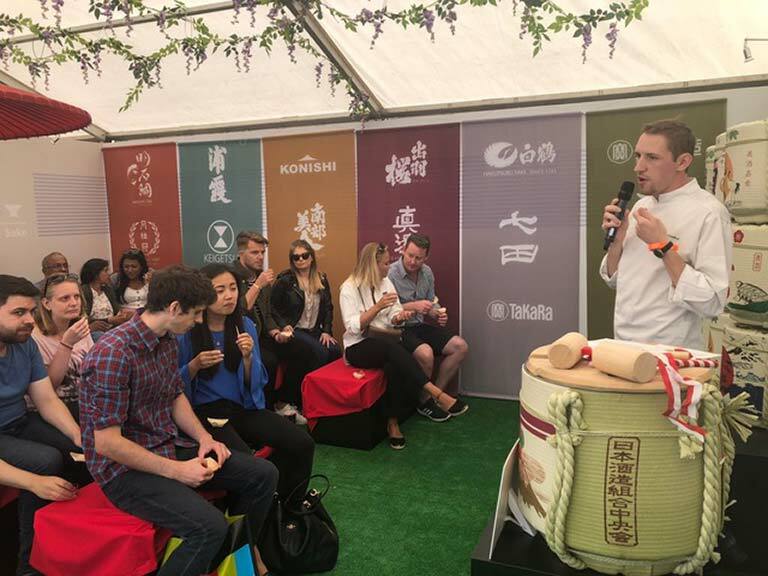 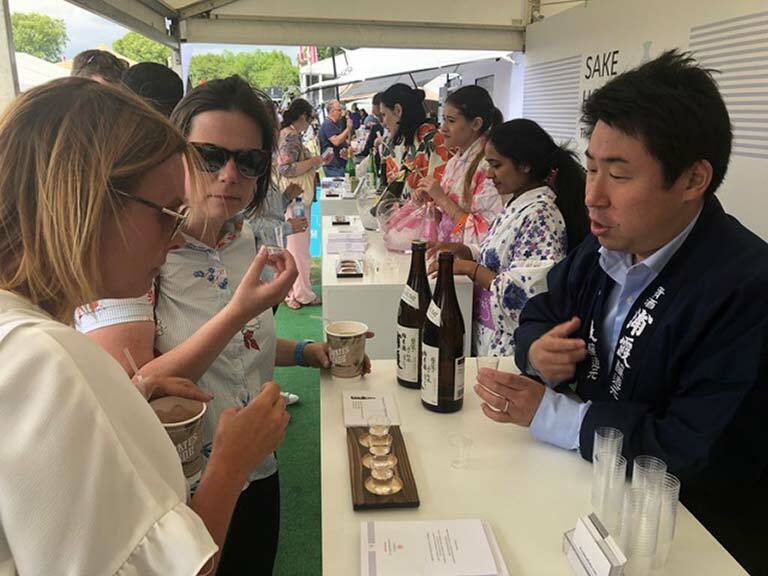 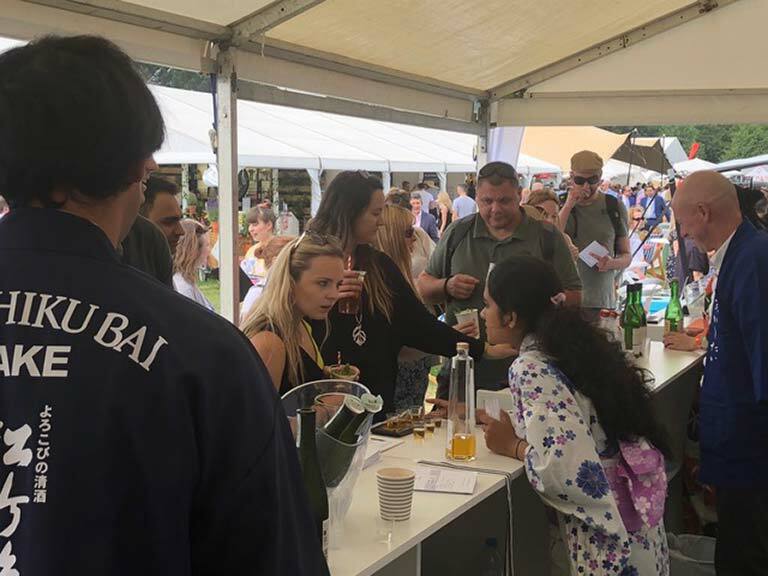 It was our greatest pleasure to support JFOODO’s successful participation in the Taste of London and I trust this was a rewarding investment for sake and Japan to reach a vast number of potential customers in the right place at the right time. 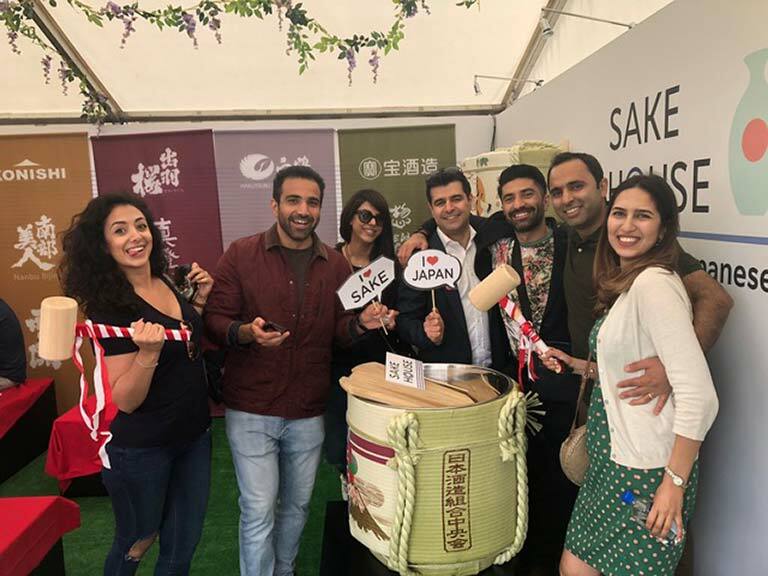 Bearing in mind that Japan is hosting two of the world’s biggest sporting events in the next two years in Japan, it is high time that sake should join the PR campaign to capture the world’s growing attention on the country.